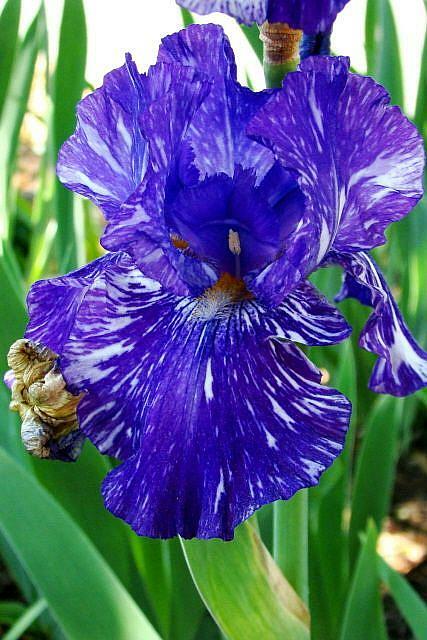 Here is an Iris all decked out in stripes. Its color varies between blue and purple with splashes of white. I came across this beautiful flower on a very windy day and the detail could not be seen while the wind was blowing. I had to wait it out and capture this photo in between 45 mph gusts.